Carolyn Meinzer, 83, of Falls City, NE, passed away January 31, 2019 at Falls City. She was born September 1, 1935 at Sabetha, KS to LeRoy and Helen (Gebhart) Little. 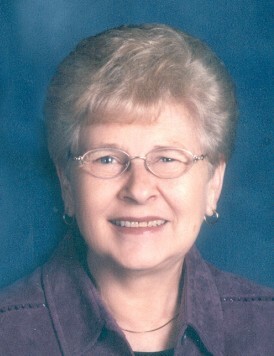 Carolyn was raised southwest of Salem on a farm and graduated Falls City High School in 1952. She worked at Richardson County Bank for two years before marriage. When married the couple established their home on a farm northeast of Falls City. She was a homemaker, farmwife and did reupholstery work. She then worked at the Richardson County Clerk's office and was the Deputy the last eight years of her employment, retiring in 1994 and moving into Falls City in 2005. She was a member of First United Methodist Church. Carolyn is survived by her husband, Paul of Falls City, children, Marsha Hull and her husband Steve of Fremont, NE, Kenneth and his wife Susie of Reno, NV, Karen Killingsworth and her husband Kevin of Fremont, Tami Dunn and her husband Mike of Falls City, brothers, Larry Little and his wife Dottie of Fruitland, ID, Jerry Little and his wife Donna of Tucson, AZ, sisters, Kay Jo Gilkerson and her husband Bill of Ozark, MO, Vickey Bereskin and her friend Ken of Valdosta, GA, eleven grandchildren and twenty-five great-grandchildren. She was preceded in death by her parents. The family will receive friends on Tuesday from 7-8:00 PM at Dorr and Clark Funeral Home.